Well! Muscule cool man!Looks like a contest winner standing on boxing ring. 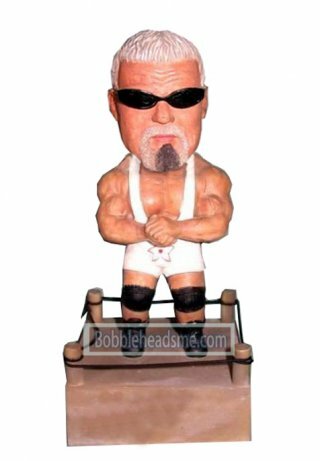 This costom sport bobble head flexing his arms in the front,wearing the while sport clothes,black shoes,black knee guard,and with a cool glasses.If your friend is a Muscule man, when he received this bobblehead doll,he would can not stop laughing,haha!